UAAA chapters and clubs support the deep and lasting connection we all share for the UA. Our events — from wine-tastings to golf tournaments and game-watch parties to volunteering in the community — help preserve and perpetuate the UA spirit throughout the year. Chapters and clubs host more than 150 events a year. Alumni enjoy networking, professional development, educational speaker series, community service and scholarship fundraising — just some of the ways our alumni volunteers give back and stay connected to each other and the UA. Our mission is to support American Indian Alumni of The University of Arizona (UA) by providing networking opportunities, serving as a liaison between the University and our alumni membership, and by recognizing personal and professional achievement of our membership. In addition, AIA supports American Indian students at the UA through mentorship, community service and the provision of scholarship opportunities. The Asian American Faculty, Staff and Alumni (AAFSA) Club was established in 1989 at the University of Arizona to support and recognize the achievements and interests of Asian American faculty, staff, alumni, and students. Bobcats Senior Honorary is an organization that evokes pride, honor, and tradition. Since 1922, 13 outstanding seniors are chosen each year to continue the legacy of serving the UA. Acceptance into Bobcats is a life-long commitment of support and service to the University and the Bobcat organization. The purpose of the Bobcat Alumni Club is to encourage all members of the Bobcats to be "Eternally Vigilant" in support of the UA, to strengthen the organization by organizing events for Bobcat alumni, and to oversee the activities of the Bobcats Senior Honorary. Welcome, alumni and friends! Whether you participated in the Honors College, graduated from the Honors Program before it became a college in 1999, or simply support the mission and students of the Honors College, we are happy you are part of our community of scholars—and this is the club for you! The Honors College Alumni Club hosts social and networking events for alumni in the Tucson area and supports Honors students with fun events and scholarships. We look forward to meeting you! 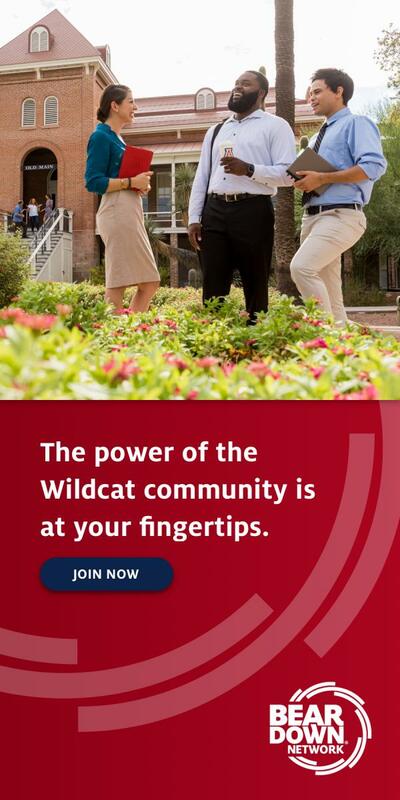 The University of Arizona UA Black Alumni–Phoenix is the Phoenix-area club of the UA Black Alumni which is based in Tucson. Membership is open to everyone. Our club aims to unite black alumni in Maricopa County who are interested in providing support for UA fundraising initiatives and outreach programs. We are excited about the opportunity to form relationships with students, parents, community groups and corporations in Maricopa County. The University of Arizona Hispanic Alumni (UAHA) is made up of accomplished Hispanic graduates and former students of the UA who live throughout the world. UAHA was founded in 1982 to promote academic excellence among Hispanic students at the University, provide financial and mentoring support to qualified and deserving students, and develop links between alumni and supporters in the professional and business community. Since 1986, UAHA has awarded nearly 2,500 scholarships worth more than $5.3 million. Our mission is to support the unique needs and interests of our veteran population by fostering and encouraging them in their endeavors through the establishment and maintenance of contact between UA alumni, students — present, former and prospective — faculty, and administration.